Great newly renovated hotel. Very comfortable bed. Close to Dartmouth crossing and Ikea. Very nice hotel and convenient shuttle ride to airport. Everything was great ! Will be back for sure ! Best sevice ever came across. We live in Missouri, but I really hope we get to come back! Very nice staff! Bed was so comfortable and easy access to airport. Beautiful grounds. Plan to spend some time on the grounds. They plan a nature trail soon. I liked the cleanliness and service. We never have a problem with that. So you're considering a trip to Elmsdale? If you want a place to hang your hat that's located near some Elmsdale attractions, just go to Orbitz, choose your travel dates, and voilà! Review the list of hotels and other accommodations to identify those that are close to what you want to see while you're visiting. There are 22 accommodations to choose from within the larger area if you can't find a good place to stay in Elmsdale. Search by filters such as price, neighborhood, guest rating, or popular locations, depending on what's most important to you. We make it easy to find a convenient flight to Halifax, NS (YHZ-Stanfield Intl. ), which is 5.9 mi (9.5 km) from the city center. Find the ideal flight quickly by using the filters on our site to narrow down your search. 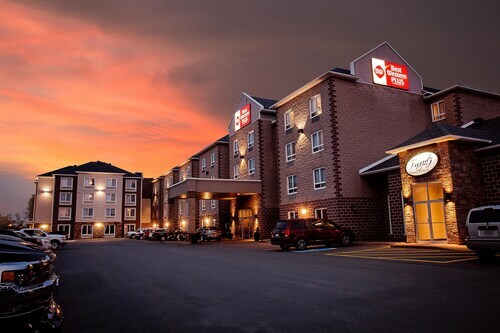 There might be just a few hotels and accommodations to choose from in Elmsdale, but here are more options located nearby so you have some choices. What's the Weather Like in Elmsdale? 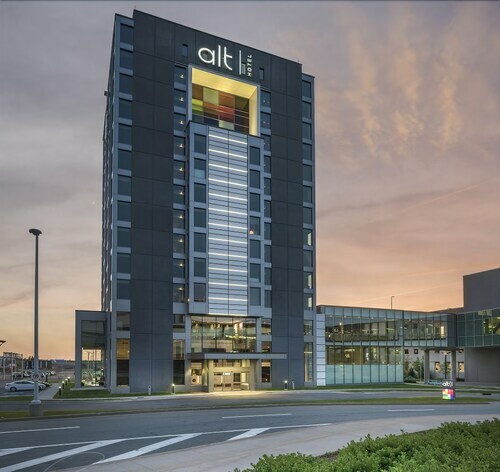 When I travel to Halifax and have to stay by the airport (which is often, as they built it out in the middle of nowhere,) I stay at the Alt. It is excellent. and it is connected to the airport - as in a few minutes walk over a covered-in walkway. So if you have an early morning flight just plan on getting their just after dinner, hitting the hay and getting on baord your flight in the morning.